Three years ago, I read a book that changed my eating habits dramatically. I was lucky enough to live in an area where hand-foraged fiddlehead ferns showed up in the supermarket in spring, the farmer's markets kept hours through November, and one of the nation's first meat CSAs had a drop-off point. It seemed like I should give the eat local thing a try. I lobbied Doug hard, and eventually he got on board, too. I learned some great things that year. Nothing tastes better than a sliced tomato, warm off the vine, with a little olive oil, salt, and pepper. I also learned that I missed green things terribly in the winter, and by March of that year, beets and I were no longer on speaking terms. To be clear, we aren't the most militant local eaters – then or now. There were a few many things that didn't fit into our version of the all-local-all-the-time experiment. Olive oil, lemons, spices, chocolate...those items continued to find their way into my pantry. And, we never brought wine (or beer or spirits) into the fold. Maybe we should. The East Coast is peppered with wine producers doing interesting things and I'm eager to discover them. My favorite thing about the local eating experiment is how it taught me to pay more attention to the seasons and their effect on the landscape. Wine is so much about a connection with the land – each glass whispers about the flavors of the earth and the vagaries of the climate. I get excited about the idea of experiencing my 'hood through wine, as well as through food. 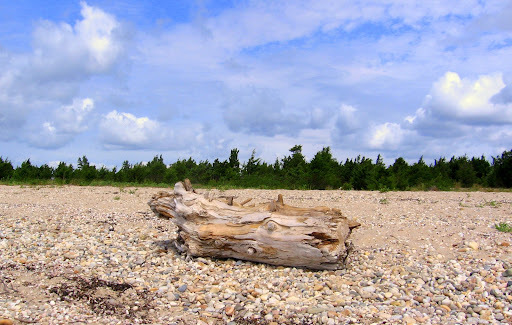 The North Fork is less than 200 miles from home – that seems pretty local to me. It turns out there are real gems in our backyard (and maybe in yours, too). Like the Paumanok Sauvignon Blanc which I brought home from my own wine foraging trip to the North Fork. It is really lovely. It tastes of grapefruit and honey, and has a richness – a structure, maybe – about it that I really enjoyed. We drank the wine with a dinner of tilapia in a caper brown butter sauce and mashed potatoes, inspired by our friend James who is as good of a cook as he is a designer. Good local wine can be hard to come by. But, this bottle made me wonder why I don't make it more of a priority to drink local.